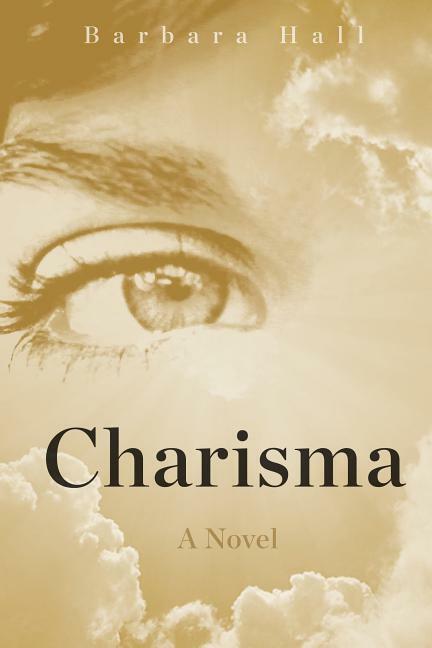 Barbara Hall’s novel “Charisma” is aptly titled. The heroine is named Sarah Lange, and she’s a charismatic new patient at a mental institution. Unlike most of her fellow guests, she’s there by choice. She’s come to Oceanside because the “guides”—advising voices she alone hears—have been talking to her a lot recently, and she’s getting homesick. Her psychiatrist is Dr. David Dutton, a rather staid, uninteresting curmudgeon who has very little patience for spirit guides, inner-child issues, or other such nonsense. To him, the brain is an organ that gets sick, and it’s his duty to diagnose and cure it. Something about Sarah baffles Dr. Dutton, though. She’s a little too calm, too flip, not nearly intimidated enough. Odder still, she seems to know things about him—private things—without him having told her. These guides, they’re impossible, of course…right? Dr. Dutton goes so far as to consult Sarah’s former counselor—one of the New Age types he loathes—and his spiritual advisor, an old college friend who’s now a Jesuit priest. While Dr. Dutton tries to get a handle on the preposterous “guides,” Sarah waltzes through Oceanside. She does crafts when it’s crafts time, meets her psychiatrist when it’s appointment time, makes a couple friends—just being a compliant patient. One friend she makes is a huge man named Willie. They bond over cigarettes and art class. Willie is an extraordinary artist, showing a great eye for beauty and surprising sensitivity for someone so big and clumsy. Willie suffers from Bipolar II, and is at Oceanside for a course of Lithium and Electroconvulsive Therapy, the latter of which leaves his memory with giant holes. Sarah has a good feeling about Willie. She senses the artist trapped inside him, and she’s convinced that if she could just get him away from all the meds and shock therapy and doctors, that he’d be all right again. When Sarah stops hearing her “guides,” that’s when trouble starts. Sarah starts down a dangerous path that could see her injured or even killed, until help arrives in the damnedest form possible. “Charisma” is a good book. It’s a fast read, and I was quickly drawn into the story. I liked the way Ms. Hall set up the narrative: during Sarah’s chapters, we were inside her head. When we followed Dr. Dutton, we were more distant, a bit colder. Also, I loved the interplay between the free-spirited Sarah and her staid psychiatrist. They say opposites attract, but these two were a bit too opposite to end up together. It was fun watching Sarah punch his buttons, while the hapless Doctor tried to maintain his professional composure. The third act is where I thought “Charisma” ran out of steam. The action was fine as long as everyone was at Oceanside. When the story moved beyond its borders, the writing began to feel forced. The climax was a little, well, anticlimactic, but I liked the denouement, where everyone ended up. I thought that was especially nice. This entry was posted in Books, Mysteries/Thrillers. Bookmark the permalink.